It’s all coming full circle for Danielle Schumacher. Schumacher, an English teacher at West Bend West High School, has agreed to take on the Honors English II course for the upcoming school year beginning Sept. 4. She replaces Tiffany Gitter, who left for another district opportunity, and thus will now partner with East English teacher Eric Beltmann, who was her own teacher for the very same course over a decade ago. Schumacher was Beltmann’s student as a sophomore in his Honors American Literature class—now called Honors English II—during the 2006-2007 school year, and even became Beltmann’s family babysitter the following summer. Kael Beltmann, who will be attending East as a ninth grader this fall, agrees. “I always got excited when my parents told us (Schumacher) was coming to babysit,” Kael said. 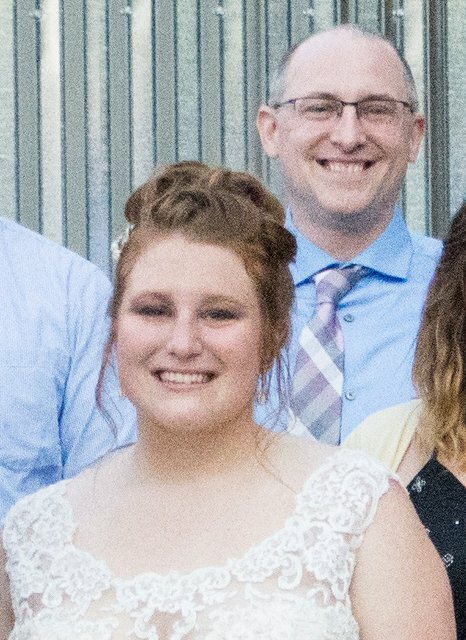 Eric Beltmann attended Danielle Schumacher’s wedding June 15. Schumacher is his former student and current colleague. Photo courtesy of Photography by Scott Edward (Scott Lone). Schumacher also did not miss the opportunity to serve as Beltmann’s ISICS (Independent Study in Community Service) student during her senior year of high school. As his ISICS student, Schumacher would assist him with grading and running copies, among other tasks. She later joined the English department in 2014 and therefore has been Beltmann’s colleague ever since. Considering how intertwined their lives have been, Beltmann is very enthusiastic about his new partnership with Schumacher. Beltmann also expressed interest in the new ideas that Schumacher may bring to the table. 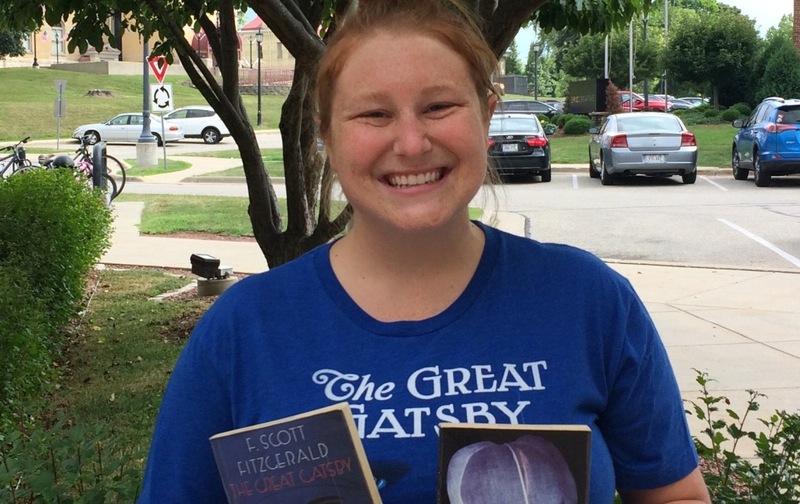 The opportunity to teach Honors English II became available to Schumacher after Gitter accepted a new position outside of the English department as an instructional technology coach for the district. Gitter trusts that in her absence, Schumacher will do the course justice as a teacher. There is one book, however, that Schumacher is not quite as keen to be teaching: “The Red Badge of Courage” by Stephen Crane. Ultimately, Schumacher hopes to ensure that the Honors English II course continues to be remarkable.